Wild Ginger Field Services provides a wide range of vegetation services, including assessment, monitoring and inventory of vascular plants and analysis of the resulting data. Our expertise lies with taxonomic identification and vegetation monitoring of the flora throughout the mid-Atlantic and southeast United States. Wetlands, streams, creeks, rivers, lakes, ponds and all the biological resources they contain are what we at Wild Ginger Field Services call aquatic resources. Aquatic resources are currently under threat due to development, water usage, land use change, and climate change. Field projects can benefit from remote field assessment prior to field work. Aerial photos and remotely sensed imagery in combination with a GIS allow desktop assessments of various ecological attributes. Invasive species come in a multitude of forms, some highly aggressive others passive and slow to spread. Wild Ginger Field Services focuses on terrestrial and aquatic invasive plants based on the Virginia DCR's list › of invasive species. 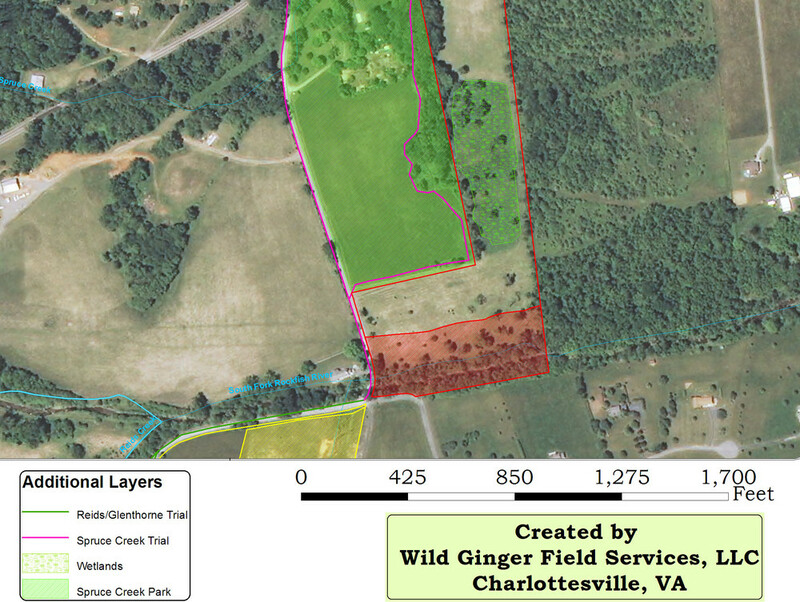 As a licensed pesticide applicator in the Commonwealth of Virginia, Wild Ginger Field Services can assess and analyze the control options available for a particular site and/or species. Wild Ginger Field Services provides site and landscape assessments. At Wild Ginger Field Services, we focus on providing environmental services through an ecological perspective. Although our focus is vegetation assessments, wetland and stream delineations, invertebrate taxonomy, and GIS, many projects require additional support.